Wet and spongy – The mosses are happy! This June has been one rainy day after another. It was been great for our plants since last summer and fall were very dry. There is one group of plants that is really enjoying all this moisture. 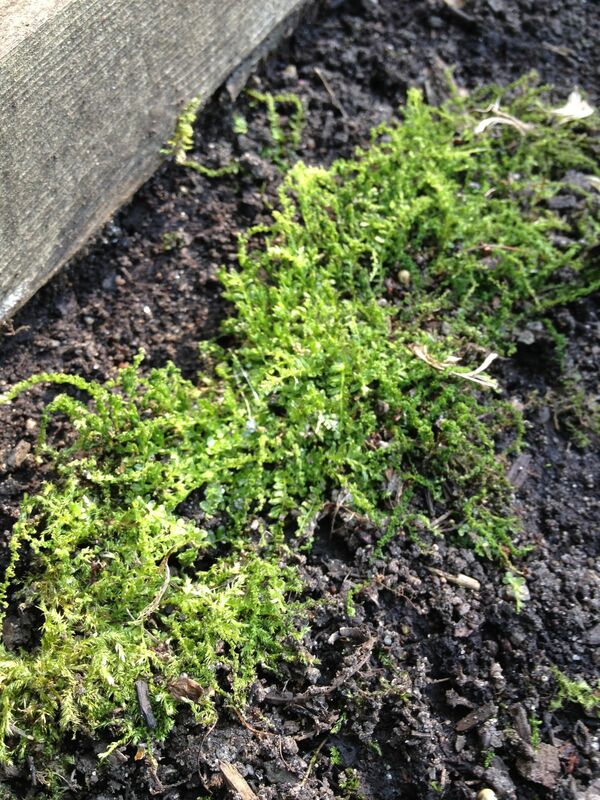 It is a group of plants called mosses. 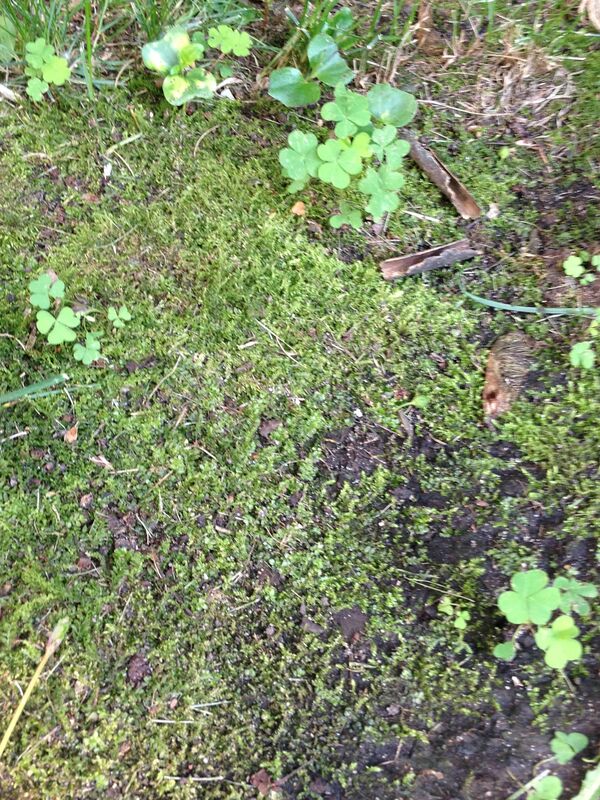 This plant is soft and green and grows low to the ground. You might find it in cracks in the sidewalk, along creeks and any place that is wet. It is a plant with very shallow roots and likes to grow where it is wet and shady. Mosses, like other plants, make their own food through photosynthesis. Although this plant is different from many of our garden plants because it does not have flowers or seeds. It has a stem that grows up with spores on it. These spores will blow away in the wind and help produce new moss in wet soggy places. In the garden we can found mosses growing on rocks, old wet logs, boards and under the trees and bushes. Take some time to walk around your garden and see what you can find in wet or damp places. Where does the moss not grow? Why? Does moss grow where it is always dark, like underneath rocks? Does moss grow where it is sunny? Will moss grow on wood? stone? dirt? plastic? glass? Look carefully at the moss and see if you can draw a detailed picture of it. Does the moss you are looking at have tall skinny stems? If so it is producing spores. After you have explored your yard, neighborhood or garden for mosses try making a moss garden under a tree or bush where grass is not able to grow. This entry was posted in Uncategorized and tagged plants, science journal, wild gardens. Bookmark the permalink. 1 Response to Wet and spongy – The mosses are happy!